As the partner heading up Kline & Specter's Mass Tort Department, Lee B. Balefsky is involved in lawsuits dealing with a wide range of products and toxic substances, from pharmaceuticals to defective medical devices, from asbestos to denture creams containing zinc. 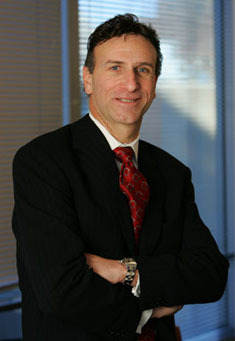 Balefsky is a member of the Plaintiffs Steering Committee involved in all transvaginal mesh cases nationwide and he serves as liasion counsel in the Philadelphia Mass Tort Pelvic Mesh program. He has had great success in other mass tort cases, playing a leading role in the $4.85 billion Vioxx settlement as well as large settlements in litigation involving the diet drug Fen-Phen. Balefsky's Mass Tort Department at Kline & Specter was recently named in Best Law Firms in the nation following a survey conducted by U.S. News Media Group and Best Lawyers. The designation was awarded to only 22 law firms in the United States and was announced in U.S. News & World Report. Balefsky's three decades of experience in complex litigation puts him at the forefront of mass torts, a burgeoning area of the law whose genesis can be traced only as far back as the late 1960s and “mass accident” claims (generally airline mishaps) and to “Agent Orange” claims that arose in the 1970s over the herbicide used in the Vietnam War. Balefsky's experience helped earn him a spot among the best attorneys in Pennsylvania selected by the independent rating service Super Lawyers for 15 straight years, 2004 - 2018. He was also selected for the latest editions (2013-2019) of Best Lawyers in America. Mass tort practice requires knowledge and the ability to handle several issues simultaneously, with cases often filed in both state and federal courts and with multiple plaintiffs and defendants. Clients are individually represented in mass tort cases but the system allows for centralizing and sharing of information, such as documents and depositions, among various parties in trials and settlement negotiations. Balefsky’s department at Kline & Specter is currently representing clients in claims against the makers of prescription and over-the-counter medicines as well as cases involving asbestos, and medical devices. In addition to his lead role with Philadelphia Vioxx cases, Balefsky was also Philadelphia Mass Tort Program Liaison Counsel in cases targeting the diet drugs commonly known as Fen-Phen, as well as for cases involving PPA, an ingredient used in over-the-counter cold remedies. In that liaison role, he aided the court in case management while providing other attorneys with information in the various cases. Balefsky’s Mass Tort Department obtained significant settlements in lawsuits against the makers of Baycol, Fen-Phen and PPA. Over the past two decades, Balefsky has won numerous cases, particularly those in which clients were found to have contracted cancer because of their exposure to asbestos, a substance which still poses a danger to the general public and, most commonly, to workers at aging factories and facilities. Balefsky is a member of the Plaintiff’s Steering Committee in Pennsylvania Diet Drug Litigation. He has lectured extensively in the area of pharmaceutical litigation. Balefsky is board certified in civil litigation by the National Board of Trial Advocacy. He is an active member of the American Association for Justice, the Pennsylvania Association for Justice and the Philadelphia Trial Lawyers Association. A graduate of Temple University in 1974 and Wake Forest University Law School in 1977, Balefsky has been admitted to practice in the U.S. District Eastern and Middle Districts of Pennsylvania as well in the U.S. Third Circuit Court of Appeals and the U.S. Supreme Court.